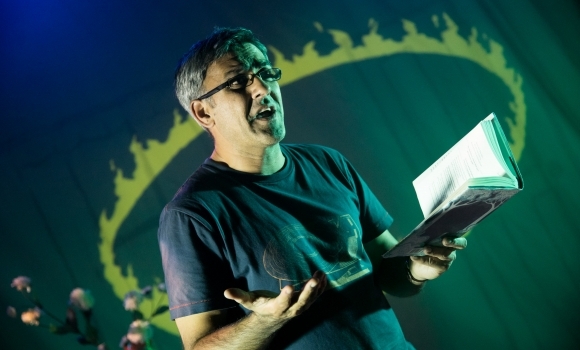 When poet Daljit Nagra was a boy in the 1970s, his relatives told him stories of Rama’s quest to rescue his wife Sita from her abduction by Raavana, Lord of the Underworld. 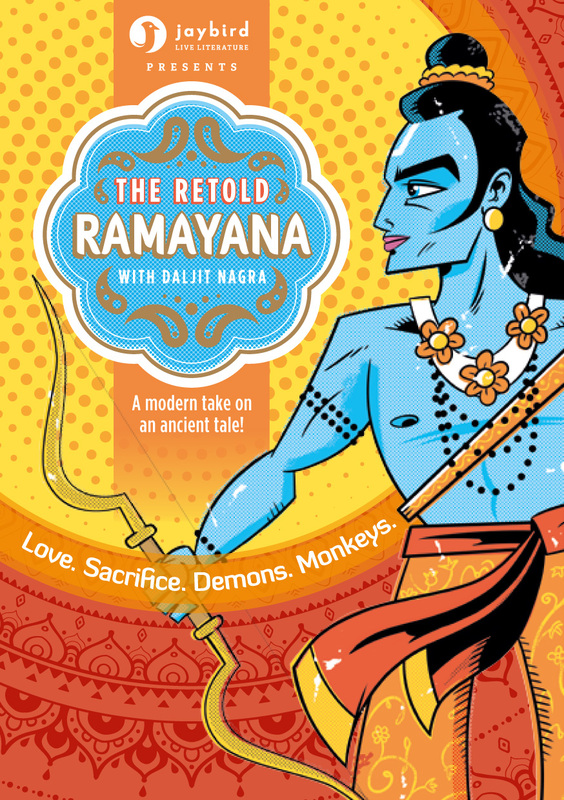 Versions of these stories – The Ramayana – have enchanted audiences across the Eastern world for 1000s of years. 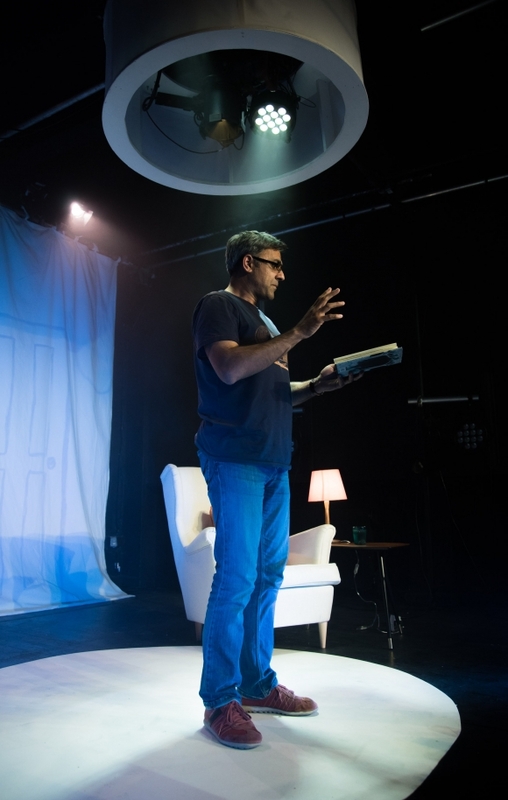 Daljit’s adaptation (published recently by Faber & Faber) is retold for a modern multi-cultural, multi-faith audience. Now he brings it to the stage. Tender technicolour love scenes and demon battles are brought to life by one man and his voice: wild words and newly commissioned illustrations shone through space. At the height of the tale, a monkey army goes to war. 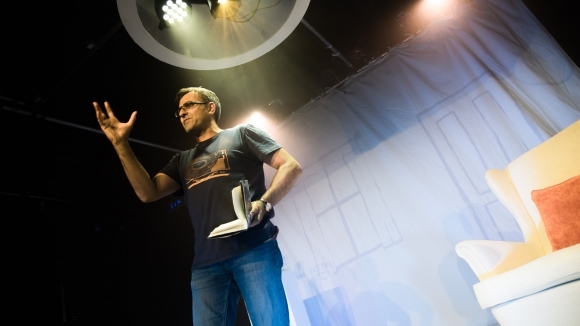 One man on stage can’t represent a million monkeys … so you, the audience, will be drafted in to help. Tech Specs: Full version needs 5x5m playing space, projection screen, moderately complex sound and LX, tours with technician. Suitable for 11+ children / families / schools - but it is not specifically a children's show. Think Romeo & Juliet, but with demons and monkeys as well.